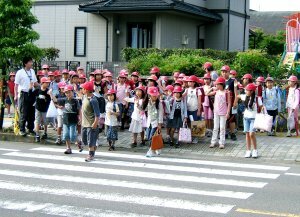 The route that is generally considered the best option for an English teaching job in Japan is the JET (Japan Exchange & Teaching) programme. This is a government-sponsered operation that takes graduates from around 40 countries and places them around Japan. The pay, conditions and support are generally good as is the network for ex-JETs. There's a downside though, as you may have guessed, and that is that the competition is pretty tough and the requirements are quite strict. An ability to live and work in Japan. At least a Bachelor's degree or three-year teaching course. Be a national of the country from where you apply. Have good language skills and pronunciation in the target language (e.g. English). Have not participated in the JET programme in the previous four years or for more than five years in total. Have not previously declined a position on the JET programme. Have not lived in Japan for six or more years in the past ten years. Have a desire to continue maintaining relations with Japan after the programme. Agree to live in Japan under the specified status of residence. Have finished period of probation after suspended jail term. Have a functional command of the English or Japanese language. Be interested in the Japanese education system. Be interested in working with children. Be qualified as a language teacher or strongly motivated. Have a functional command of the Japanese language. Because of the strong competition, as you'll see if you attend the interview day, they are strict with the requirements and generally don't give leeway such as allowing you to defer the JET year. Having said that, they don't mind if you re-apply if you don't get in first time. The application procedure is pretty thorough and takes up to nine months from applying to stepping off the plane in Japan, usually from October/November to July/August. There's a paper application and interview, as you'd expect, and for successful applicants an orientation session in your home country. Even after that there are occasional JET-only events in Japan which are extremely helpful in avoiding homesickness and sharing valuable tips to get the most out of daily life and work. If you're thinking of applying my advice would be to prepare as much as possible (obviously!) but most of all work on your enthusiasm and positive attitude. They are looking for unofficial ambassadors from each country whom the JET programme organisers can ultimately be proud of. You should demonstrate cultural awareness and flexibility as well as professionalism. In addition, getting some teaching experience and/or a certificate before you apply will increase your chances greatly, both in showing your keenness but also preparing you for questions in the interview asking about your classroom manner and opinions. And naturally studying a bit of Japanese will also help. Of course, general interview advice is still relevant too. Finally, do have a back-up plan. Many good candidates don't get accepted but go to Japan by themselves anyway, and end up being exemplary teachers outside JET. Even if this is not the path for you, the preparation and self-evaluation required for JET is still a good foundation for other job applications. In other words, enjoy the process and what you learn on the way. Japan is fortunate to have the JET programme and while it's not a long-term career move, it's definitely worth aiming for. Check out the official website for full details of the JET application process. Watch Jason's extensive series of videos about applying to JET. I think I'm lost has an active forum dedicated to the JET programme.